Would yearly dues allow the US IWW to grow as fast as the UK? Ironically for a revolutionary union movement, I’d say the UK IWW are “agile” compared to the US IWW in the same way that a tech startup is “agile” compared to Microsoft. They’ve been able to use organizational tools which work for them, and ditch the ones which don’t, much easier than we have over here. One thing that the UK IWW ditched several years ago was the system of monthly dues, in which members are responsible for paying every month to a delegate, who puts a stamp in the membership card, fills out paperwork, hands the money and paperwork to the Branch Secretary, who then cross references the report, compiles multiple delegate reports together, and sends it all to the General Headquarters, in a process that often sees months go by before GHQ is able to update the status of the members who are paying dues – assuming the data is even correct to begin with! We may spend more administrative time, to achieve less efficient results, than any other organization around! If there is a hell, surely at each of the 9 circles there are delegates from the IWW of yesteryear, frantically putting stamps in red cards, filling out reports, and sending them to lower levels for compilation into bigger reports. At the 9th level, a forgotten old GST is chained to a desk trying to make sense of them. Before I pigeonhole myself, I’m not against monthly dues in principle. Organizational decisions such as monthly versus yearly dues should be judged based on their results. When I say results, I don’t just mean in an opportunist sense of whether the decision brings some minor advantage to the organization as a structure; the decisions should be judged politically based on the results – do they increase member involvement at the same time as encouraging growth? Do they promote stability and democracy? Or are they just a fossilized remnant of an earlier period, which has not been challenged strongly enough to be changed? In some circumstances, monthly dues make a lot of sense. There are a lot of reasons why many unions traditionally operated with monthly dues. For one thing, it is much easier to get someone to accept paying a lot of money, if you charge it in installments over the year. Or, less cynically, if the union knows how much it needs to charge each member during the year, charging by the month makes it easier for workers who might have a hard time accumulating or holding on to money, to pay as they go. The more interesting justification for monthly dues, to me, is related to job control in the pre-NLRA era. For example, when the IWW Local 8 had job control over the Philadelphia docks, they didn’t maintain it through a contractually-mandated membership. Rather, each worker wore a button showing that they had paid dues for the current month. If a work group noticed that a worker had been assigned to them who didn’t have the button, they stopped working until the issue was resolved. That’s awesome. But unfortunately, it’s not where we’re at. We don’t use monthly dues to maintain job control, and I’m not convinced that we need them to keep dues rates low. We maintain the monthly dues system, stamps, membership booklets and all, out of inertia, and because we haven’t dared to dream of something better. We make it ridiculously easy for someone to cease being a member – or rather, we make it ridiculously hard for someone to continue being a member . Maybe that is part of why we lose members as quick as we get them, at least in the US. Let’s imagine that we can’t increase the rate of new members over recent years. OK. Even if we can’t accelerate our new membership growth, if we could simply staunch the bleed of membership attrition, that would be a huge step in getting us to 10,000 by 2020! Of course it doesn’t help anyone to simply say “wouldn’t it be cool if…?” I’ll try to outline how we could do this in concrete terms, inspired by aspects of the system that the UK Fellow Workers have. This is a sketch at something workable – one of the great things about a democratic organization is that the proposal gets improved during the debates. Please, suggest improvements! A base dues rate of $60 per year for waged workers, with lower tiers for non-waged and incarcerated workers (say, $30 and $12 respectively). Initiation fees set to $20 waged/ $10 non-waged/$0 incarcerated. Payment can be scheduled as a monthly debit of $5/$2.50/$1 through GHQ, or the entire year can be paid in cash to a Branch officer. No more need for delegates as distinct officers. Membership standing determined in March, if the member has not paid for the previous calendar year than they are in bad standing and can no longer vote until they pay for the previous calendar year. If they are two calendar years behind they are considered to have quit their membership and will have to reinitiate. Industrial Worker and the GOB sent to all members who paid during the previous calendar year. All members in the US are considered to belong to the nearest branch to their workplace when they join (or nearest to their residence if they don’t work), until they transfer branches. No at-large members. Branch size for Convention or other purposes is determined by the number of dues-paying members in the previous calendar year. The dues split could be handled in various ways. The simplest would be an even split, like we have now. $60 also splits well into three, four, or five parts: there could be even splits between the branch, GHQ, the Industrial Worker, the IWW-allied non-profit that is being proposed at this year’s Convention, or the regional coordinating bodies that I think we would do well to form – or any combination of these. We could change it as we go on, if we need to. We could even try the method that the UK fellow workers use, which subsidizes branches with higher numbers of lower paid workers, by giving them a higher share than branches with more well-paid workers (at least I think that’s how it works). The biggest objection to a plan like this, I think, would be that it is essentially lowering our dues expectations. Currently our badly named “sub-minimum” rate, for people in dire circumstances, comes out to $60/year. Well-paid workers are expected to pay $324 every year, which is more than a lifetime subscription to Jacobin magazine. That’s a lot for what, materially speaking, is little more than a 1-year subscription to the Industrial Worker, but it keeps our organization going, and it’s important. The most facile: $60 is an arbitrary figure, chosen because it’s easy to divide in many ways, and because it’s easy to handle with cash – no need to make change. But we could easily choose a higher amount, even $120 (though for the reasons below I don’t think we’d need to). We know we lose a lot of money on the so-called “One-month wonders”, members who join for one month and then disappear. If they become one-year wonders, and pay $80 instead of $10 or $18, that would make a big difference – but maybe we could even keep more of them in past that first year, if it doesn’t take so much effort to remain a member? A lot of the labor costs at GHQ are currently tied to keeping up with the monthly dues system. If we change to yearly dues, we can either cut labor costs, or use that GHQ labor for more exciting activities which will help us sign up new members and develop existing ones. Many of the “big ticket” items that are currently paid for through GHQ, such as the Industrial Worker newspaper, or Organizer Trainings, could be transferred to the IWW-allied non-profit which is being suggested at this year’s Convention. Members who are able to, can be encouraged to add an additional monthly contribution to this non-profit – after all, our current higher dues rates are basically just glorified “suggested donations”! Fellow workers, unite! You have nothing to lose but your stamp books, and you have a more dynamic union to win! 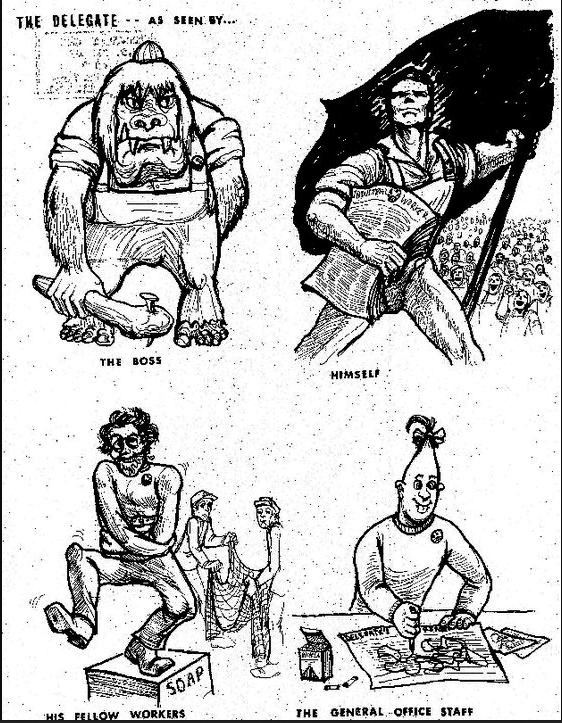 Posted in IWW, Revolutionary Unionism. Really glad to see our policies over here in the UK sparking a debate about how to streamline and improve the OBU stateside. The difference between the US and UK IWW dues systems is much less one of “yearly vs. monthly”, rather very much one of “automation vs. manual payment”. The key to our administrative success in the UK is not that we pay at a different time intervals – the vast majority of UK wobs (including myself) still pay monthly dues – but just that once we’ve joined the union, payment is fully automatic and takes the form of a direct debit, similar to a magazine subscription or a utility bill. What it means is that as long as there is £5 (my dues rate) or more in my bank account at a certain point each month, I remain a member in good standing of the IWW even if I take no action whatsoever, unless I actively cancel that direct debit (which I would do only if I were consciously deciding to leave the union, rather than if I were just lapsing into a period of inactivity). There are still provisions in place to pay by cheque or cash, but these are used very rarely and the default is direct debit. With this system in place, there’s no obvious advantage to a yearly versus a monthly payment (although the option for a yearly lump sum is there) – so most people stick to monthly, treating it just like other automatically debited outgoing bills. I think you’ll have an easier time lobbying for a rapid change of this kind if you frame it as a simple matter of automating your existing system, rather than a fundamental change in when dues get paid. To give you an idea, someone who works a 40-hour week on the National Minimum Wage or close to it in the UK would earn just over £1000 per month (and so pay £5 per month in dues) – for comparison this is a typical income for a UK retail worker, an unskilled factory worker, etc. As well as two concessionary bands for those on part-time incomes, we also increment our payments upwards for higher salaried professionals. Real-world examples: A first-year trainee NHS doctor on their starting salary of £22636 p/a would pay £10 per month in dues, double that of a typical unskilled factory worker on a salary of about £12000 p/a. The same doctor on becoming a fully trained NHS general practice doctor, at a salary between £54319 – £81969 (in all cases, a higher income than 95% of the working population), would be expected to pay 1% of their total salary per month – i.e. £45 – £68 per month. If you’re prepared to expect your wealthiest members to pay more to reflect their ability to pay, you may be able to spread the burden of cost more fairly. About 50% of all workers in the uk would currently fall in or below our £5/month dues rate based on income – but it’s in the spirit of the union that our few supporters and members at the top-end of the wage system should contribute more. A flat dues rate seems about as fair as a flat tax – i.e., not very! Hope some of these snippets of info are useful, and can help you guys reform your dues system and start recruiting/retaining the membership numbers you deserve. Great article and all suggestions I hope fellow workers take seriously. Just to clarify the branch stipends. Our previous worked our a genius system by which dues are averaged out and the money each gets back is based on the average dues payment rather than the actual money revived. This means branches with worse paid members, usually the most active, receive the same per member rate as a branch made of well paid fellow workers. Down with stamps I say! Plus you do get a really snazzy plastic card! So you still get a pretty thing! Great post. I particularly appreciate your taking the time to sketch out a practical proposal for how to achieve the proposed shift. I also really appreciated the clarifying comments from the UK — thanks! You don’t really much get into the nuts and bolts of analyzing the possible effects that switching over to digital dues would have on the union / membership relationship (although you do mention it!). I just thought I would add the following thought: that switching to an automatic digital dues system would free up delegates to take on more work related to mobilizing their members for the union, and the union for their members. What I mean is that, at the moment, delegates time is taken up collecting dues and processing paper work. It is a rare and special delegate that takes the time to meet with all/most of their assigned members each month to check-in with them. discover the hidden talents of each of their members and spend their own time thinking creatively about how to help them plug in to the broader union in a way that will allow them to flourish. Likewise, it is a rare and special delegate that will advocate for the needs of their members at the GMB — this is especially important when delegates specialize in a particular constituency (based on language or industry). I hope and advocate for a change to the digital dues system, but I suspect that unless such a switch is accompanied by new legislation and training for delegates in membership relations, the change may be neutral or harmful wrt our membership retention issues. Next Post What could we accomplish in Greece?